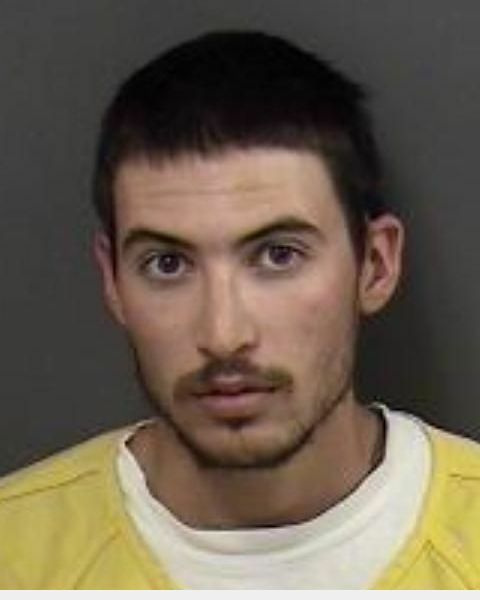 Luke Austin Artinger, who has been a fugitive since July 3, 2010 and was wanted in connection with Parole Violations and Attempted Murder has been arrested in Grand Junction, Colorado. Artinger was featured in several previous newspaper articles and was featured on the television show “America’s Most Wanted”. Artinger is accused of violating his parole from a previous conviction on vandalism and battery charges involving the stabbing of a retired Los Angeles County Sheriff’s Deputy who attempted to detain him after catching him tagging in February, 2007. Artinger pleaded guilty to those charges in January, 2009 and was sentenced to five years in state prison but was released on parole in February, 2010. He is accused of stabbing a former friend in the head and neck on July 3, 2010. He fled the scene and has not been located since. Artinger was arrested by Grand Junction, Colorado police officers responding to a complaint of a man possibly attempting to sell drugs. After being contacted by two uniformed officers and some conversation occurring, Artinger fled on foot but was eventually detained by officers. Artinger provided an assumed name and other identifying information and was subsequently booked on drug trafficking charges. His true identity was later discovered and confirmed through finger prints. His Parole Warrant and the warrant for Attempted Murder from Huntington Beach have been added to his charges. He is currently awaiting prosecution on the drug trafficking charges in the Mesa County, Colorado County Jail. His ultimate extradition to California will be determined at some later date. The Huntington Beach Police Department would like to thank the many organizations and individuals who contributed to the capture of a dangerous, violent offender. The two GJPD officers who arrested Artinger responded to a tip they received that a man was trying to sell drugs to students on the CMU campus. The officers found the man, who said he was not a student, and began talking with him. One of the officers spotted a backpack near the man, however the man said it did not belong to him. When the officer opened it to try to find out who it belonged to he found what he believed to be illegal drugs inside. The officers began to arrest the man, however he took off running. The officers chased him on foot, and a CMU student who saw the chase tackled the man. The officers then took him into custody without further incident. The man was booked into jail under the name he had provided to officers and that was also found on items inside the backpack. As noted in the news release above, the man’s fingerprints later came back as a positive match with the suspect wanted out of California. This entry was posted in GJPD News and tagged GJPD Patrol, Grand Junction Colorado, grand junction police, Law Enforcement, Mesa County, Mesa County Colorado. SOOOOO, GJPD really didn’t catch the guy. An innocent bystander had to catch and tackle the suspect for them. Figures GJPD will try and get as much publicity out of this as they can with out a mention or a thank you to the citizen for his apprehension.